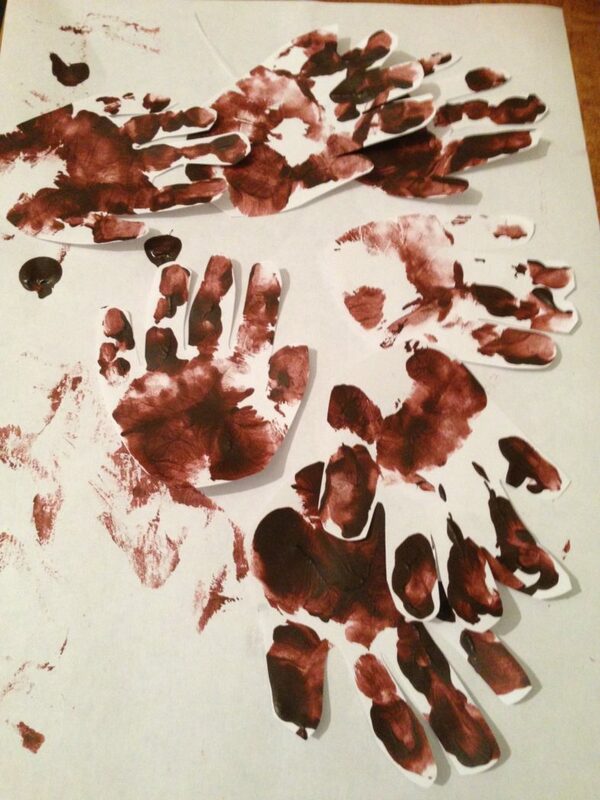 Earlier this week I sent a picture out of a pile of brown handprints on Instagram, Facebook and Twitter, asking if anyone could guess what we were making this week. We had plenty of guesses from reindeer, to wreaths to squirrels (and everything inbetween!). I know I have given it away by the title of the post but would you have guessed? A pile of leaves perhaps?